As his uncle was a chiropractor for 50 years, Dr. Dan grew up around this natural form of health care. He received adjustments since he was a young boy. Encouraged by his uncle to follow in his footsteps Dr. Dan decided to become a chiropractor. He first, however, earned a Bachelor of Arts in English Literature from The University of Tennessee, West Knoxville. After applying and being accepted, Dr. Dan then attended Life University graduating with a Doctor of Chiropractic in 2001. Halfway through school, he remembers adjusting his first patient and relieving her headache, leaving Dr. Dan in awe of chiropractic care. To ensure that his patients receive the most comprehensive and advanced chiropractic care, Dr. Dan has taken an array of continuing education classes. He is certified in golf injury detection and prevention, strength and conditioning, and holds advanced standing in chiropractic orthopedics. Additionally, he completed the state required 250 hours of Acupuncture Continuing Education. This certification allows him to provide a more in-depth health approach to many issues that people suffer from. The couple stays busy with their two young daughters: one dances and the other plays lacrosse. He has also participated in Tough Mudders and Spartan races in the past. As a fan of the University of Tennessee sports, his family enjoys watching football games together. 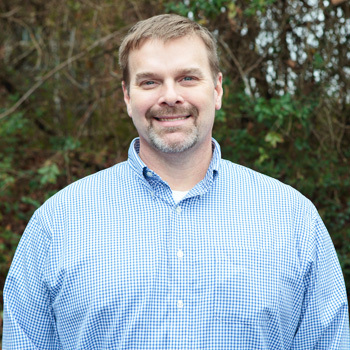 Dr. Dan is a member of the Farragut Rotary and the Tennessee Chiropractic Association. If you’d like to live your best life, Dr. Dan is ready to help. Contact us today to book an appointment!